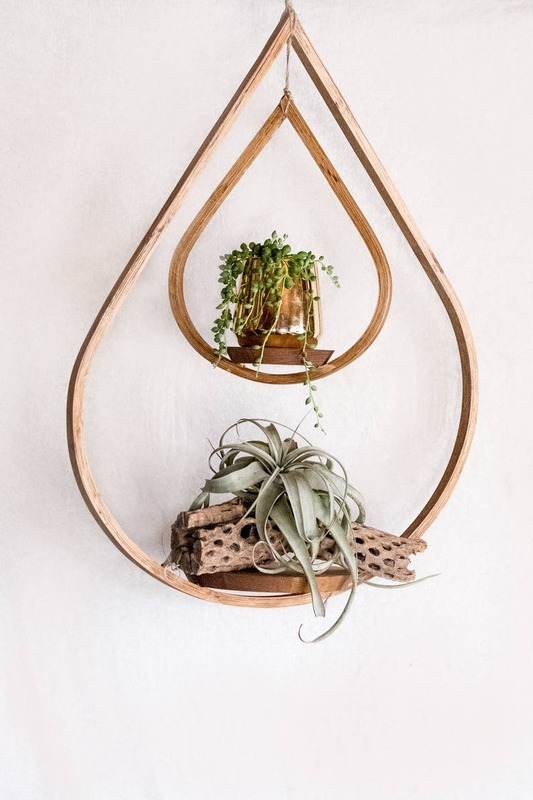 Inspired from mid-century modern/vintage designs, this double tear drop hanging planter is a real beauty. 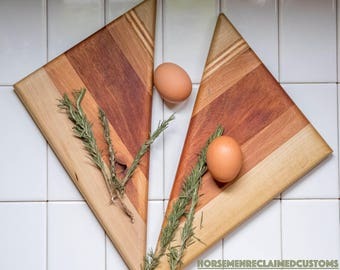 Made with various reclaimed wood (mostly pine, but types will vary) and finished with walnut danish oil and natural jute connectors. The round plates are perfectly situated within the tear drops to display your plants, smudge sticks, crystals, etc! (Please, just don't water your plants while they are sitting on the hanger). Took a while to ship out, but its a very nice piece. We are in love with this planter and our new air plants.